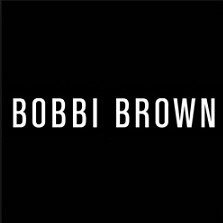 Bobbi Brown Cosmetics offers take 25% off sitewide + Get a full-size Crushed Lip Color at $75, via coupon code DMFRIENDS . Or, get $25 gift card for next order on orders over $100, via coupon code VIPFRIENDS25 . Or, for Dealmoon customers only, get $100 off on orders over $300 + 3 full size colors, via coupon code DMFRIENDS . Plus, pick an additional full size gift with $75 purchase. Please click on link to activate code.